Eclipses lined up and waiting. 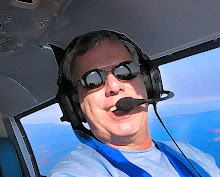 Recently I read a very good article on a site called CharterX that quoted Michael Press, president and CEO of Single Pilot Jet Management as saying some quite shocking things about Eclipse Aviation and their current push to get their E500 delivered. Press was quoted as saying that that on March 14th, Eclipse Aviation quietly delivered its second Eclipse 500 very light jet. “I know the owner that took delivery of Eclipse's second jet; he doesn't want his name in the media," Press said. In the article, Press also claimed he "personally saw 10 jets just sitting there [at the Eclipse plant]” completed and ready for delivery, waiting for FAA inspection and signoff. I spoke with Press this week and confirmed that the quotes were indeed his. He also publishes a newsletter that makes for very interesting reading if you are closely following the Eclipse story. And if you want to drop a sack of cash on an E500 position, he is also a broker for the airframe and has numerous positions available for sale here. The CharterX Industry XChange is the world's largest online marketplace for air charter buyers and sellers. The Industry XChange is used by charter operators, brokers, fractional & card programs, travel agents, flight departments and other volume charter buyers to make supply and demand connections. Charter buyers use the Industry XChange's advanced aircraft, empty leg, Google mapping and operator search features to efficiently navigate through CharterX's database of air charter supply information. The Industry XChange gives buyers access to detailed information on over 15,000 charter aircraft, over 3,500 charter operators and over 1,500 empty legs. CharterX's Industry Headline News is a must-read, covering the charter markets as well as the business jet sector. 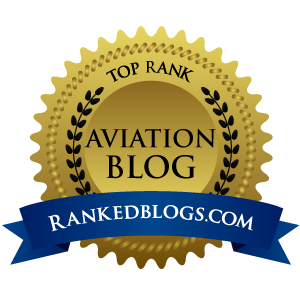 I have bookmarked their RSS feed and will be checking in frequently to see what is what in the wild and unpredictable world of personal jets and the people who fly, buy and own them.